The lines on this chair are fabulous. This chair requires 7 yards of fabric to recover. 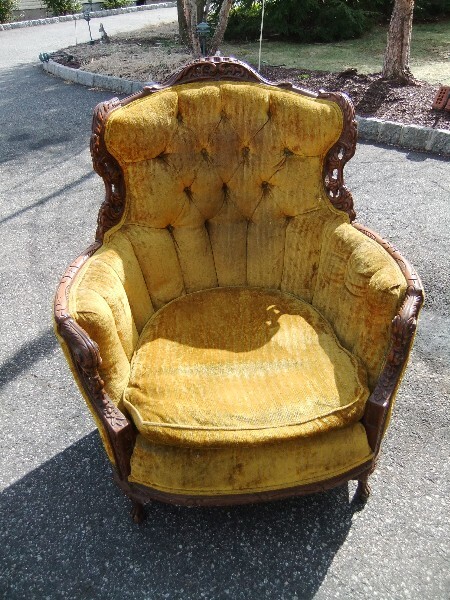 Price includes painting and labor to re-upholster. Price does NOT include fabric. This chair measures 38" tall .. 32" across at the seat... 28" deep at the seat.